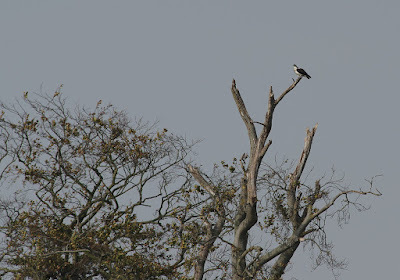 With some unpleasant weather forecast (and having been stuck inside all weekend!) 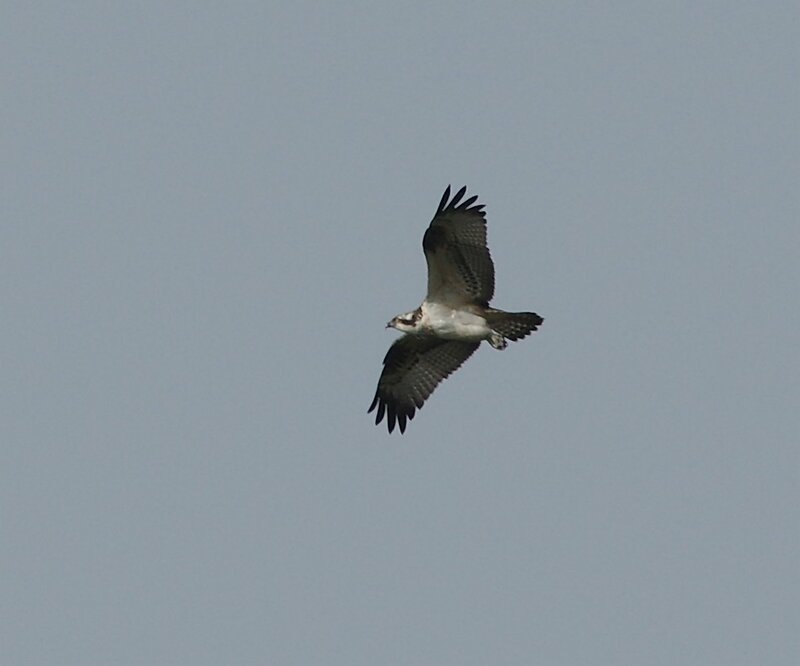 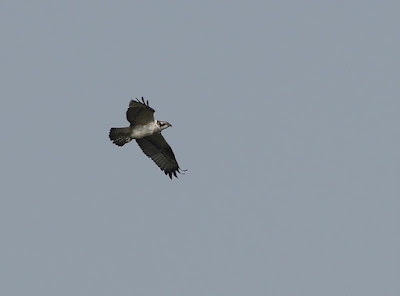 Linda suggested a run up to Holkham to take a look at the long-staying Osprey. 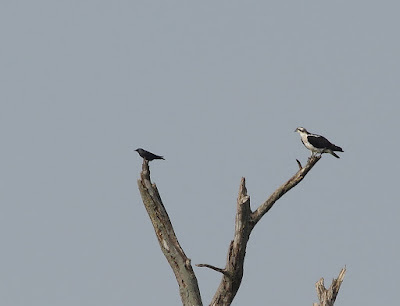 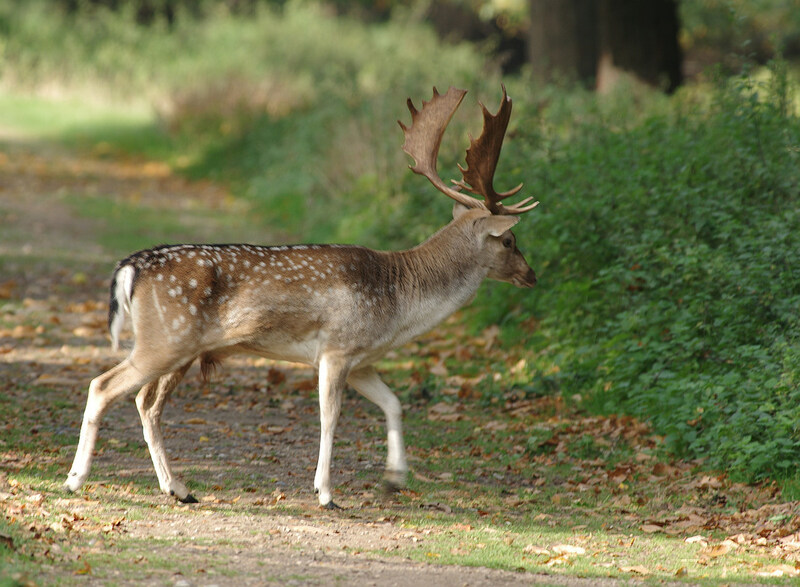 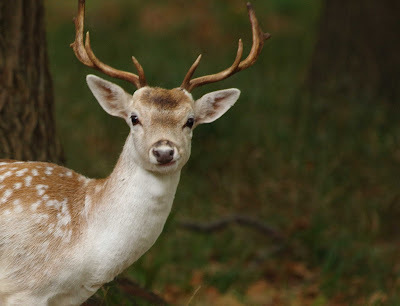 The drive north gave us several Buzzards and Red Kites and a brisk walk through the park (full of delightful Fallow Deer) soon added the Osprey to our day list. It seemed to favour a somewhat distant tree, from which it occasionally flew off north, returning after a minute or two with a fish. 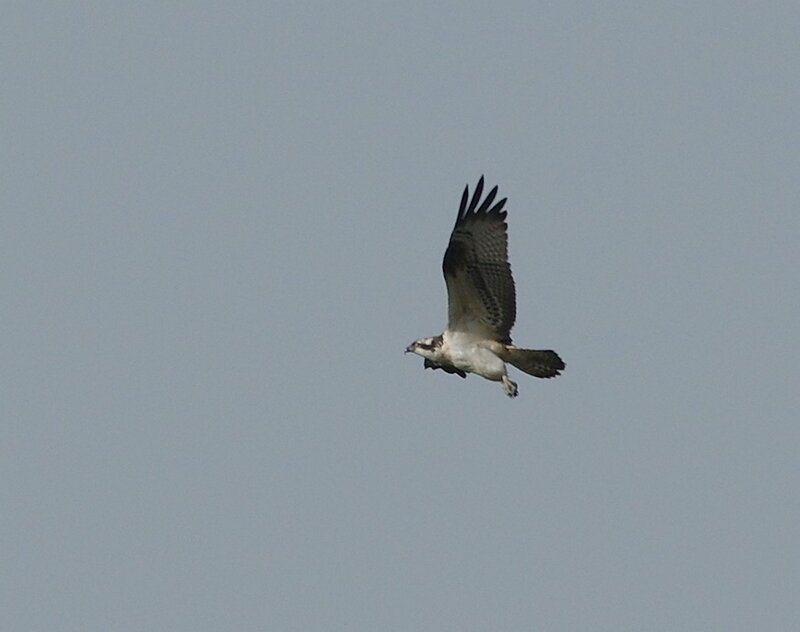 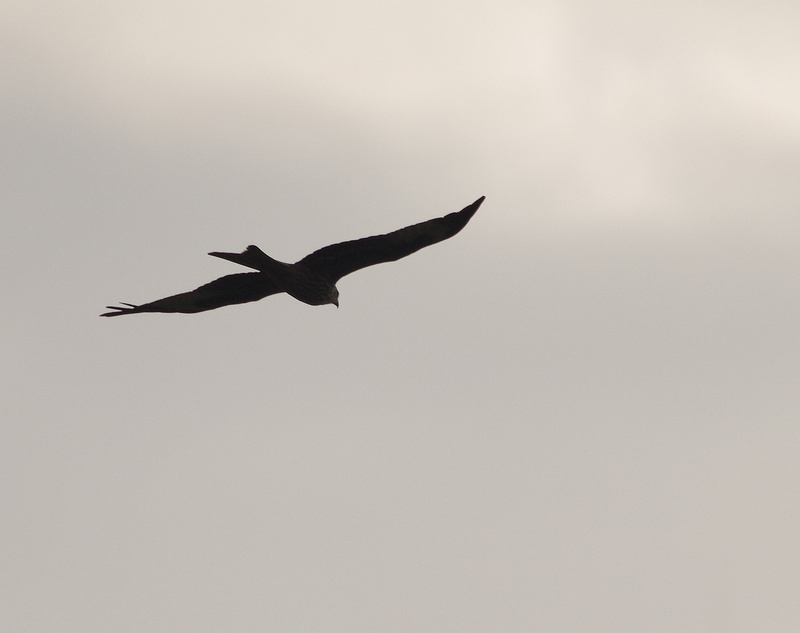 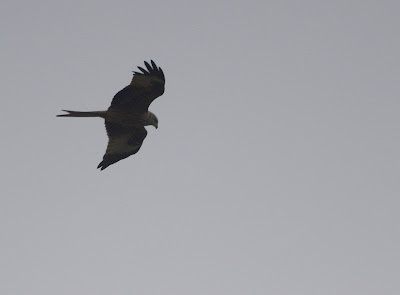 A few Red Kites were sharing the Osprey's airspace and a Hawfinch 'tsipped' overhead: most astonishing to see were several very large (20lb+) Carp that leapt from the water like Polaris missiles! We walked back to the car in the pleasant company of local birder Chris before driving to Burnham Deepdale for a delightful bowl of mushroom soup. 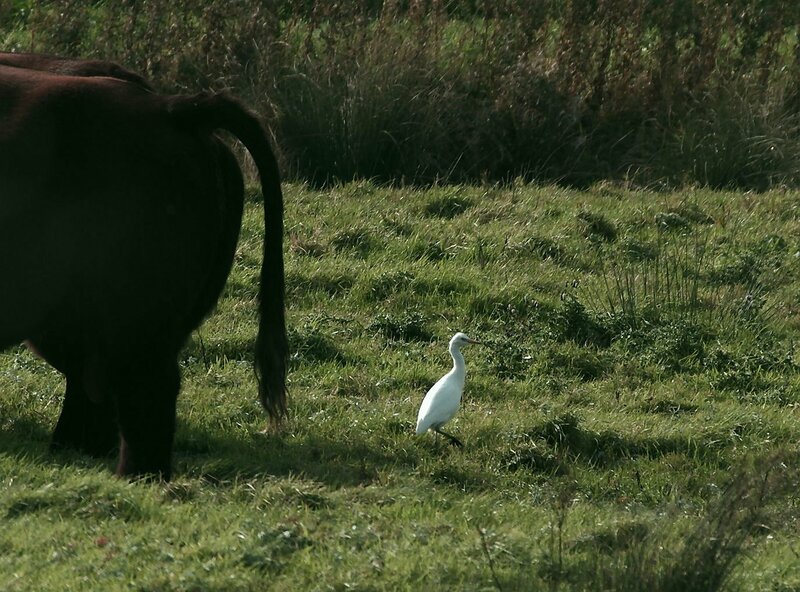 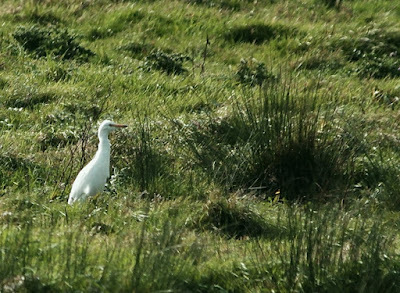 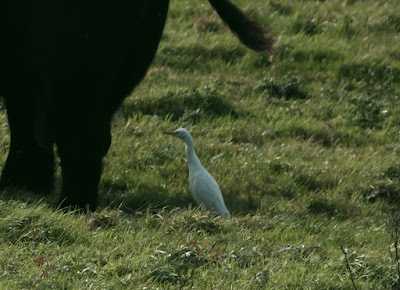 We considered visiting Titchwell, but in the end headed back east, pausing at Stiffkey for a quick look at 'our' Cattle Egret.